Biography A graduate in Architecture and Architectural Conservation Studies from Université de Montréal and University of York (UK), Dinu Bumbaru is currently Policy Director of Héritage Montréal, a not-for profit organisation engaged through education and advisory role in the safeguard and appreciation of the very diverse and dense urban, architectural and landscape heritage of the Greater Montreal and its neighbourhoods. Linking local action with national framework and international cooperation, he has contributed to think tanks and organisation in Montréal, Québec, Canada and at the international level has been deeply involved in ICOMOS – the International Council on Monuments and Sites which is UNESCO’s advisory body on cultural World Heritage – of which he was Secretary General 2002-2008. 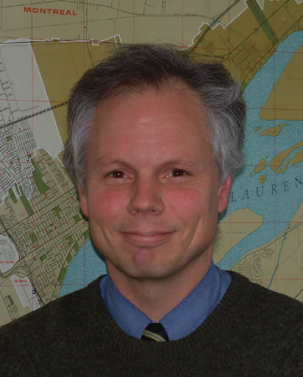 His interests include the heritage of the Metropolis, public participation in conservation and disasters reduction. 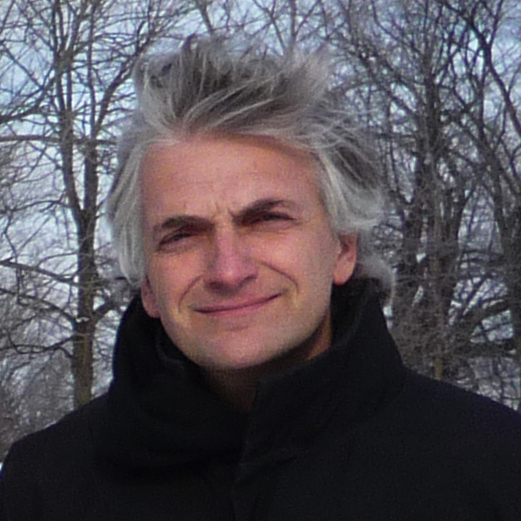 In addition to his ongoing Héritage Montréal position, Dinu is president of ICOMOS Canada and a Professeur associé with the École d’architecture de l’Université de Montréal. He was appointed to the Order of Canada in 2008. Abstract Whether it’s the water infiltrating the complex ziggurat crowing or the perception of frivolous ornament that many people associate with Art Deco, the heritage of that period has to face considerable challenges in terms of documentation, maintenance, conservation and even sheer safeguard. For some times now, the heritage of the 20th Century has gain in recognition. In 2001, ICOMOS held a special workshop in Montreal to address this growing concern and set up an international committee on the heritage of the 20th. For Art Deco heritage, this is a useful step though its strong decorative and popular dimension may cool down many scholars. Also, relating to the Great Depression, its architecture carries its load of technical difficulties with the need to repair materials experimental in essence or poorly executed originally. In Montreal, many examples of Art Deco result from the job creation programmes and are vectors of optimism and hope in the city’s neighbourhoods. In today’s crisis, it remains a valuable reminder worth saving. 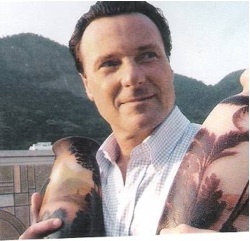 Biography A very keen fan of Art Deco, Robert Bradshaw has worked for many years in the international financial services sector both in Ireland and in Belgium, and has been Ireland’s representative in various international development banks. 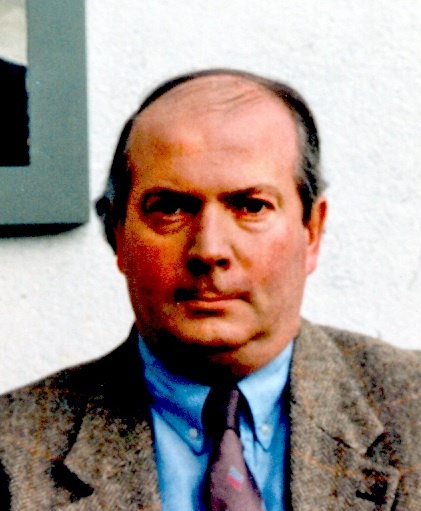 In addition to domestic and EU bodies, he has spoken at UN and other international conferences, and has also written articles on architectural, aviation and cinema history. Abstract While the contribution of Belgium to Art Nouveau is well recognised, the intense interest in the Art Deco style in Belgium between the wars is mainly ignored. This graphic rich presentation, using recent and period photos, explores the Belgian contribution to art deco architecture and design. How did it evolve, who were the artistes attracted to deco, and what has happened to their creations ever since? Focusing in particular on a group of particularly talented interwar architects, who deserted the sinuous curves of art nouveau for new materials and new shapes; this session will tell the story of Belgian attraction to luxury apartment living, garden cities in place of war-ruined housing and the creation of art deco cinemas and villas. 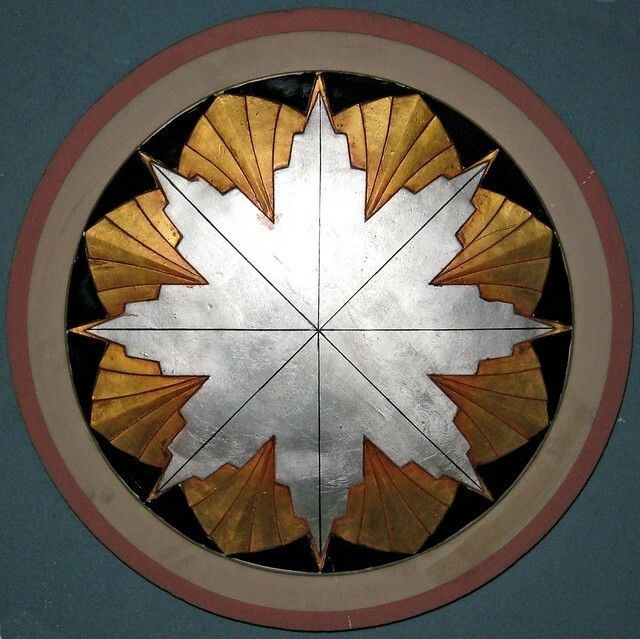 With a final section on the rich art deco glass, ceramics and design traditions in Belgium, it will conclude with some remarks on Belgian art deco designs intended for use in Canada. Biography Jean Damecour is a practicing architect and president of Sainte-Marguerite-du-Lac-Masson and Estérels Historical society. He is also a member of the Cultural Committee of The MRC des Pays-d’en-Haut and contributed to the creation of their Cultural policy in 2006. He participated in the studies of La Fondation du Patrimoine Religieux du Québec. In 2006 Le Conseil des Monuments et Sites du Québec awarded him their honor certificate for his ongoing and pioneer work for the preservation of the modern heritage of the Domaine de l’Estérel. He is presently studying the potential of the buildings of the Domaine de l’Estérel to receive new occupations which he believes will permit them to survive. Abstract In 1934, Baron Louis Empain bought some 7000 thousand acres, around Lac Masson, Lac Dupuis and Lac du Nord, in the Laurentians, to develop a luxurious , summer and winter resort. He commissioned Antoine Courtens, a talented young Belgian architect who had worked with Victor Horta, the celebrated master of Art Nouveau. Courtens developed a master plan which included several resolutely modern buildings which still exist today. These buildings, located on prime land on the shores of the lakes, are in a precarious situation and their future is in jeopardy. One of them, the hotel, built in 1936 will be left vacant and helpless in a year from now. Unless a viable and sustainable use for the building is found which could interest the developer, who bought the land and has the rights to the building, it will likely be demolished. Biography I was born in England to parents who emigrated from Italy at the end of the Second World War with elements of the Polish Army stationed in Italy. I grew up in the émigré Polish community in Chicago, finishing schooling in Catholic grammar and high schools and a parallel study program at Polish language schools and scouting. I obtained a Bachelors in Political Science and later a Master’s in East European History. 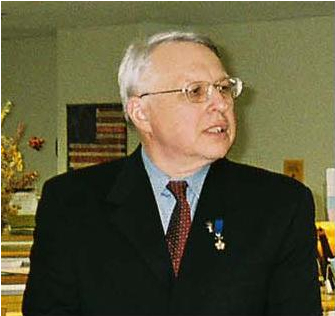 Since 1996 I have been the Director of the Polish Museum of America. I am in contact with scholars in Poland who deal in the inter-war period and Art Deco specifically. As director I have taken an active role in saving and preserving the Art Deco posters found in the Museum. In 1999 I presented My wife and I have attended the ICADS conferences in Los Angeles, Napier, Tulsa, and New York. We have also attended DECO weeks in Miami and went to San Francisco to attend the gala associated with the Victoria and Albert Museum’s Art Deco Exhibit. Abstract 2009 will mark the 70th Anniversary of the New York World’s Fair. The PMA was one of a few organizations that received many artifacts from the Polish Pavilion. They form a large part of our exhibit. In 1999, as director, I organized an exhibit entitled ART DECO POLAND: Designing a New Nation for the 60th anniversary of the Fair and Pavilion specifically. (a review can be found at ArtScope.net (look under reviews and then Art Deco-Poland). The curator of the exhibit, a Mrs. Krystyna Nowakowska, from Legnica in Poland was in Chicago visiting her family and doing research on one of the metal decorators, Henryk Grunwald. She has continued to work with us and is in the process of writing a doctoral dissertation and a book in Polish (to be translated into English) about the Polish pavilion. The PMA has made available much material for her and at the same time created a file on the Fair/Pavilion. Using this material I would present information on Poland’s participation at the Fair (reviewing the 1937 Fair in Paris at which many of the artifacts were first presented); a visual tour of the Pavilion and the fate of the artifacts when the Fair ended. 2008 – Art Deco course at Casa do SaberAuthor of a number of articles in Brazilian newspapers and magazines. Abstract A point of reference for Art Deco in Latin America, Rio de Janeiro stimulates lovers of the style to wander the streets of the city attentive to gates, halls, entryways, façades and entire buildings. Brazil’s capital until 1960, the city lived its own “Belle Époque” at its apogee during the first half of the 20th century (in architecture, design, art and music). Cosmopolitan and open to everything modern, it absorbed new ideas with an anthropophagical appetite! The Art Deco style represented the arrival of Modernity to Rio de Janeiro. Buildings are now being preserved and restored and the press has highlighted this modern architectural approach and its numerous examples. Admirers from many parts of the world come to study the buildings that still exist. And it was to better reflect on the Marvelous City’s glorious moment between 1920 and 1950 that we conceived of producing the book, Rio de Janeiro Art Déco.